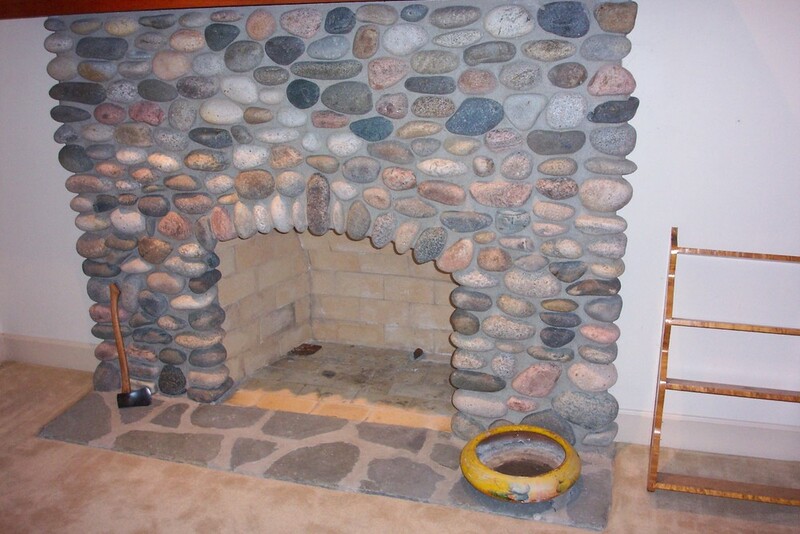 May be used in many different applications from pathways, fireplaces, all the way up to building exteriors. Cobblestones are stones that were frequently used in the pavement of early streets. "Cobblestone" is derived from the very old English word "cob", which had a wide range of meanings, one of which was "rounded lump" with overtones of large size. "Cobble", which appeared in the 15th century, simply added the diminutive suffix "le" to "cob", and meant a small stone rounded by the flow of water; essentially, a large pebble. It was these smooth "cobbles", gathered from stream beds, that paved the first "cobblestone" streets. Note that cobble is a generic geological term for any stone having dimensions between 2.5–10 inches. A cobbled area is known as a "causey", "cassay" or "cassie" in Scots(probably from causeway). The Alexander Classical School three-story cobblestone building in Alexander, NY. In the Finger Lakes Region of New York State, the retreat of the glaciers during the last ice age left numerous small, rounded cobblestones available for building. Pre-Civil War architecture in the region made heavy use of cobblestones for walls. Today, the fewer than 600 remaining cobblestone buildings are prized as historic locations, most of them private homes. They are clustered south of Lake Ontario, between Buffalo and Syracuse. There is also a cluster of cobblestone buildings in the Town of Paris, Ontario. In addition to homes, cobblestones were used to build barns, stagecoach taverns, smokehouses, stores, churches, schools, factories, and cemetery markers. The history of building with cobblestones and 17 driving tours to see the remaining structures are found in "Cobblestone Quest - Road Tours of New York's Historic Buildings". 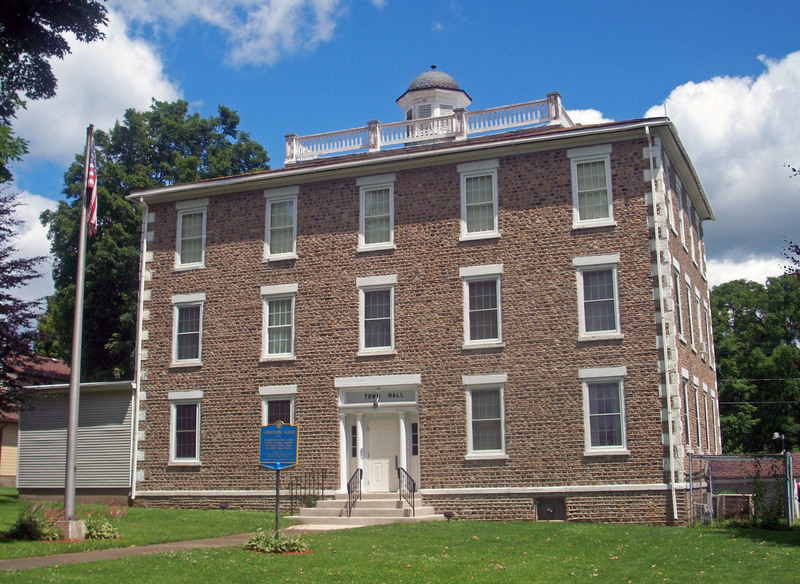 The only public cobblestone building is the Alexander Classical School, located in Alexander, New York.